Hi! thanks for the awesome writeup! it was very useful for me. Unfortunately I keep getting stuck at the place where I run the script (I get the exact error you mention). Do you have any good suggestions or is there a page/thread that was helpful for you? Thanks again for the awesome writeup! I had this happen several times, and never really narrowed down what was causing it. Aside from what you already tried, I’d suggest attempting the flash with the radios on vs off (toggle Airplane mode) or with the SIM card in vs out. Will 3g work at 3g speed? Yes, 3G works at the same speed as it would with Verizon. You need to copy everything inside the “Copy to phone” folder to the root of your phone’s “SD card”. Unzip to your computer first using 7-zip. Each of the .zip files contains a META-INF folder. Do I copy all of these? They seem to all be identical. Also, when I unzip the files under the ‘copy to phone’ folder, that results in 4 file folders, do I copy the folders, or the files within? what did you do? I am getting the same massage. Any idea? 1. DO NOT unzip the installation files. You transfer them to your internal storage/sdcard as it is (in .zip format). IN TeamWin Recovery Project, only .zip file will work for installation. 2. However, by any chance, you got caught in the recovery mode with no OS installed. You can push files (rom or whatever you need) to the device with ‘adb.exe’ in recovery mode. You can have ‘adb.exe’ in xda developers website. I installed it by installing adt SDK. Just google it you’ll find it easily. And also there is another cool youtube video titled “how to push file using adb in android” explained the whole process. Once you have rom installed you’ll be able to reboot the system. 1. In TWRP, there’s no “Wipe Data” it’s “Factory Reset” instead. I guess most experts would know that, but I *almost* did a “format data” instead, which (I think) would have been bad. Also, for the first boot into the EOS Rom, I didn’t realize that it would take so long (several minutes) so I pulled the battery and started over. I eventually just went for a walk while it sat there. 2. I wasn’t able to bring up the keypad after activating to press 2 to “update the PRL” — but 3g mobile data *is* working anyway, though I don’t know if it’s working for roaming, though that’s not really a big deal. *611 didn’t work for me either, but *228 did — though that’s not the way I’ve activated pageplus phones before, I used *22890 — which didn’t work at all after flashing the phone, which is interesting — hopefully there won’t be any problems. Glad it worked for you! I found that dialing *228+ (hold down the 0) will still dial *228 but keep the keypad, rather than starting the activation screen. Thanks, that’s good to know. I probably could have googled the answer for that, but since it worked anyway, I didn’t bother. Thanks for the detailed guide. Had to “nuke from orbit” after the first attempt but the second attempt went off without a hitch (no errors of any kind). I’m activated with talk/text working but still no data. The only thing different is I tried using the SIM card I already had….not a new one. You think that might be the problem? Not sure, but I’d bet that if anything is working at all your SIM card isn’t the culprit. FWIW: data worked for me on the first go, no nuking required, and I didn’t get a new SIM card, I used the one that was in the phone already, which had been previously used on verizon. I *think* a critical step may be setting the MDN and MIN (MSID) correctly in the script file, since they will be different if you’re using a sim card that had been previously activated, or maybe even with a blank one, I dunno exactly how that works, but I was careful to use the two different values in the proper places. You know….I was careful when entering the numbers in the script cause I had read that the MIN(MSID) was not the same as your phone number. I called PagePlus and had them give me the MDN, MIN, and the SID. But in my case, the MIN was the same as my phone number so I asked them again and they said that was correct. Now that I’ve done this and have been using it for a few weeks, I’d like to use another ROM. I’m thinking I’d just like stock/rooted. I don’t want to screw it up, and I’d like to avoid having to reconfigure all my apps/settings. I’m new at this stuff (but was able to follow these steps no problem,﻿ even if I don’t really understand what they do), so I don’t know if I can flash a new ROM without wiping the whole device or not. Or if putting a new ROM will mess up Page Plus usage. Help? Use Titanium Backup to back up your apps and their associated data. I like the option to create a zip file of all apps and data, which you can then flash after you flash the new ROM – saves a few steps versus re-downloading Titanium Backup and manually restoring your apps. So, make sure stuff is backed up. Then perform steps 20 and 21 in this guide (Wipe data, flash ROM, flash patch, optionally flash the zip containing your apps). You shouldn’t need to reactivate – as long as you applied the patch, everything should still work fine on PagePlus. This is weird. I just decided to go ahead and use the phone even without data. A couple of days later…..data mysteriously just started working. I’m not gonna question it…..just enjoy it. I was just about to begin this process. I went to the verizon store to get a SIM and they told me I can’t have one without activating a line. How did you guys get yours? A google search shows people selling them on eBay. Do you think that’ll work? Wow, I searched Amazon and they are selling brand new ones for $7.50 straight from verizon wireless, not a marketplace seller. I knew that guy at the store was BSing me. Description says it fits the Galaxy Nexus. Hi, I have a question about step 9 of part 2 Flash to Page Plus. It says I have to do a full reset of all of my previous attempted programming, if any. How do I do that? And do I even need it if I hung up every time it tried to dial in automatically for programming when I put in the sim card to make sure it worked? The driver installer won’t run unless you run it in compatibility mode. Vista service pack 2 mode worked for me. I just hope the driver won’t give me issues too. I’m on Win 8 Pro. Well, I’m going to get a professional to do this. I can’t get the drivers to work. I’ve tried like 5 different methods. Thanks anyway! Is the phone you used a SCH-i515? Yes, it is the Verizon model. Could you please clarify “Driver for “Android 1.0″ not found – choose Samsung Android Phone from the list!” I am getting the message and did not get it from where I choose Samsung Android Phone? never mind. It worked perfectly. 1. DO NOT unzip the installation files before you transfer them to your internal storage/sdcard. IN TWRP only .zip file will work for installation. 2. If by any chance, you got caught in the recovery mode with no OS installed. You can push files (rom or whatever you need) to the device with ‘adb.exe’ in recovery mode. You can have ‘adb.exe’ in xda developers website. I installed it by installing adt SDK. Just google it you’ll find it easily. And also there is another cool youtube video titled “how to push file using adb in android” explained the whole process. Once you have rom installed you’ll be able to reboot the system. Thank you for the tutorial. It helped a lot along with dragonharts video tutorial. Now I am in Pageplus in Gnx4 .Thanks. What uplink and downlink speeds are you getting? I’m only getting about 100 kbps in either direction. I was wondering if I have something configured wrong. I saw some other posts about requiring HA and AAA passwords in order to get full 3G rates of around 1 Mbps. I think this would only be required if you were using a Sprint phone (and you’d then need a donor verizon phone for the AAA). Not sure how possible it is that your HA / AAA could get messed up on a verizon phone in the process of flashing radios etc. – Feel free to post back here if you end up figuring this out for your particular phone. I have a Verizon Galaxy Nexus. I’ll keep invstigating. Your guide was a great help in getting it configured. Do you get 1 Mbps uplink and download speeds when measured with speed test? I’ll have to go run a test somewhere I get a strong signal – I can’t actually recall getting anywhere near 1mbps since switching to PagePlus, but perhaps I just ignored this because I was coming from Verizon 4G and anticipated slow speeds. Your comment has made me want to look into this further. If I get this working myself, I’ll update the post. Any luck on getting speeds over 100kb/s? I tried your tutorial (thanks! BTW), but data speeds are horrible on PP and I’m thinking of selling my GNEX and porting out next month if I can’t get proper 3G speeds. I’m in NYC, so speeds should be fast. Any idea what I did wrong?? Cant nuke it — Ive tried downloading stock android through the toolkit but it keeps saying – checksum of the image does not match the checksum in the toolkit database. I dont want a bricked phone… any suggestions?? any other download source? I’m getting the same message and am hesitant to proceed. Please help. When I attach the phone in Fastboot mode it is not recognized by my computer. VERY frustrating. If you’re still having problems with this, I had all kinds of self-inflicted driver issues that required using USBDeview to clear out all traces of Galaxy Nexus/Samsung devices and re-installing the drivers using the toolkit. Try running ETS as an administrator. I believe those are the same errors I saw until I did. Okay I manually loaded the fast boot drivers through control panel and the toolkit worked but stopped short with a waiting on device. It seems this POS won’t talk to the computer after it boots now! GRRRRRRR! 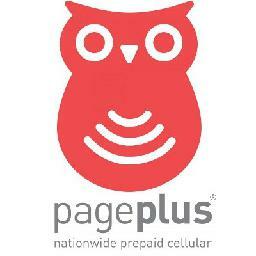 I had successfully flashed my phone to PagePlus one year ago and it has been working perfectly. I am now wanting to sell my phone and was wondering whether I need to do something when the buyer wants to use it on sprint(i had the SCH-L700). It should be the same process as Verizon. I’d probably still be stuck if not for your posts / vid. Thank YOU! After wrangling driver issues and several attempts at wiping and flashing I now have voice and text (no 3g needed here), but some of the settings don’t stick after rebooting or switching airplane mode on and off. As a result, the radio shows completely blank and my service doesn’t work. I can get the radio to connect again by dialing *#*#4636#*#* and changing the preferred network type under “Phone info”. Any suggestions? 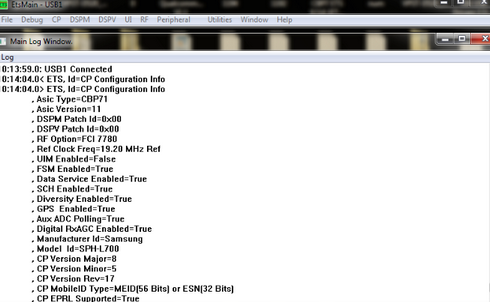 Possibly try a different ROM – I had similar issues (radio info showing blank) with certain ROMs. I’m having a serious issue getting the INTF2 driver to install. I’m using Win7 64bit, stock USB cable, I’ve gotten all the way through the rest of the process 3 times and get stuck here every time. I also tried 3 other computers running everything from WinXP, Win7, and Win8 and NONE of these will install the INTF2 driver even though I’ve downloaded and installed the “SAMSUNG_USB_Driver_for_Mobile_Phones_15160.exe” and tried manually installing the “19_VIA_driver” on each computer with no success. It just says it can’t find driver software for your device. Been working on this for about 3 days and I’ve searched the net up an down for anything and all I can find is “Turn off fastcharge” which wasn’t on in the first place, and this thread “http://forum.xda-developers.com/showthread.php?t=2122921” which doesn’t seem to work on the Nexus. Any suggestions would be awesome. Followed every step. Talk/text/data working. Just one problem, my phone will only receive calls when it isn’t on sleep. Please help. also ignore all 1=HLP_ERR_ACTIVE_PARM_PROFILE_ID, Code 2=0×00000002 errs with the donor free script if you are using donor method. I am having the same issue as some of the users above. After I programmed the phone, I can send/receive text messages, I can use data but I can’t make/receive a call at all. When I dial *228 it says you may need to find an area with better coverage(near a window or outside). Any idea suggestions/solutions will be higly appreciated. Thanks to you and Dragonhart for all the information! I do have one question. Does anyone else seem to have issues with not always receiving their incoming calls? I first noticed it one day when my wife said she tried to call twice and it went to voicemail. I had the phone on the entire time. I started using google voice from my email to test it out. Seems like maybe 8 out of 10 times the call will come through. Any thoughts? I’m having the same issue with not receiving calls. I also have crappy service when my kids’ 3g phones are fine. I need help. Any luck? I have been researching everything possible and have not found a solid solution. Im thinking of starting from scratch with a new sim card. The first time I did this whole process I used the sim card that was already included with the phone. Following along, thank you so much for this guide! Use option 1 after selecting the phone from the list to use the tool to install the correct drivers. I gave up on getting these drivers to play nicely and ended up installing the tools on a 32 bit Win7 VM. VMWarePlayer is free. To make it pass the USB connection through, the option is Player > Removable Devices > CDS7 (or Galaxy Nexus) > Connect. I had to toggle USB Diagnostics on and off, but it picked it up the second time. I also didn’t have to go find the Etsmsg.txt file, so that’s another problem avoided. Can you help me get connected to ETS? Very frustrated now, and would appreciate any help you can give. Thanks for the guide, but the driver problem is a big issue for me. Running WIN 7 Pro, and can’t use ETS. Exhumed a WIN XP Pro laptop and tried with roughly the same results, driver problems. I can’t get around the fact that there are many driver issues in this VIA software. Android toolkit is working. Would be nice to actually go all the way through this, but it’s looking impossible. Anybody with some insight care to help? Is EOS rom required for the flash? I’ve been fighting with this off and on for several months and cannot get the adb drivers (under Windows 8.1) to recognize the device when the EOS rom is installed. Works fine using a stock rom. I followed this guide to the letter – in particular the part about replacing the first two instances in the script with the phone and the next three 3 with the MSID (mine were unique numbers) – and it worked perfectly. I was using Windows 8.1 with UAC disabled, but I still made sure to run EOS as administrator. I hardly ever make any comments on the internet, but this was so incredibly helpful for me that I wanted to make sure to thank the author and tell him how much I appreciated him collecting the info and providing this guide for us. The XDA forums can take hours and hours to sift through before you get all the info and details you need to do something like this. You have saved me time and money and I can’t thank you enough. I love you man! Would this work for other phones? I’m trying to flash a gently-used Verizon Kyocera Hydro Elite to PagePlus. I have CDMA Workshop and the drivers installed. If not, any help? I had difficulty in writing MDN MIN into the programming -> general tab. Every time I fill in MDN MIN and click write, I had nothing when reading back. The same thing happens to all other fields in this same tab. I can successfully write to programming -> data and programming -> mobile ip though. Has anyone else had trouble with the paranoidandroid rom packaged with this? I had no trouble throughout the entire process until right near the end when, like so many others, on windows7 the phone would NOT install the INTF2 driver. So, when I went to ETS and ran the script, I ALWAYS had several errors (between 3 and 5…which is strange because my experience with programming and scripts is that it’s either an error or it isn’t…I have no idea where this variable number of errors is coming from). But…in any case…just to see, I pushed ahead to the next step, which involved installing the ParanoidAndroid rom, which INVARIABLY failed. But because I don’t really understand why each step works, I don’t know if it’s a bad rom, or it it is because of the script errors, or if the phone hates me, or what. SO, I pushed ahead again with the FIRST rom we used in this..and…while I ended up with signal, *611 went through to Verizon and not page plus, and actually it didn’t go through at all. So, is the script problem happening because of the INTF2 driver failure?